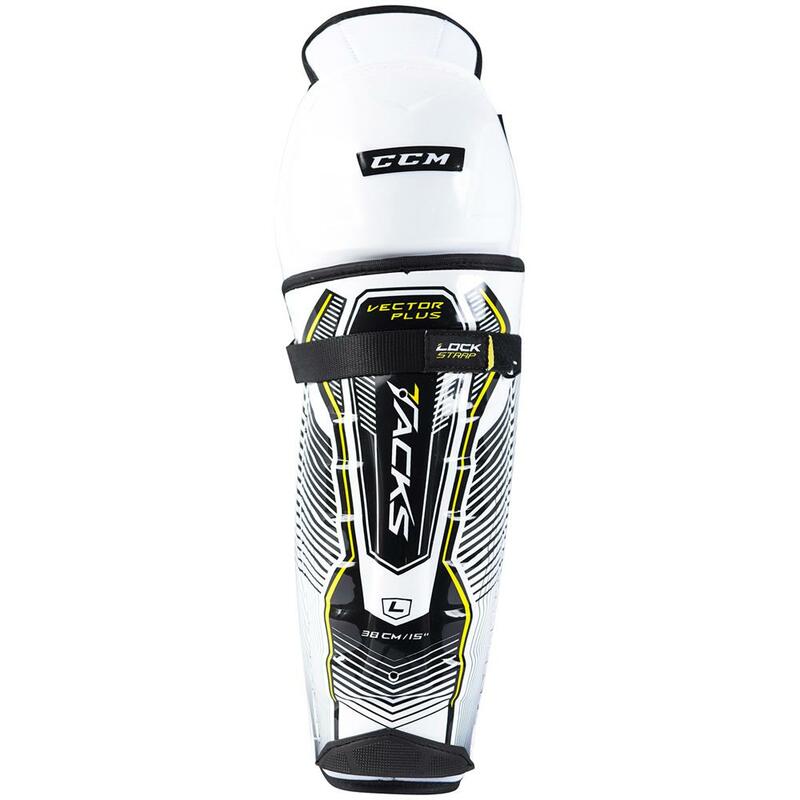 CCM Tacks Vector Plus “Exclusive” Junior Shin Guards | Sports Etc. 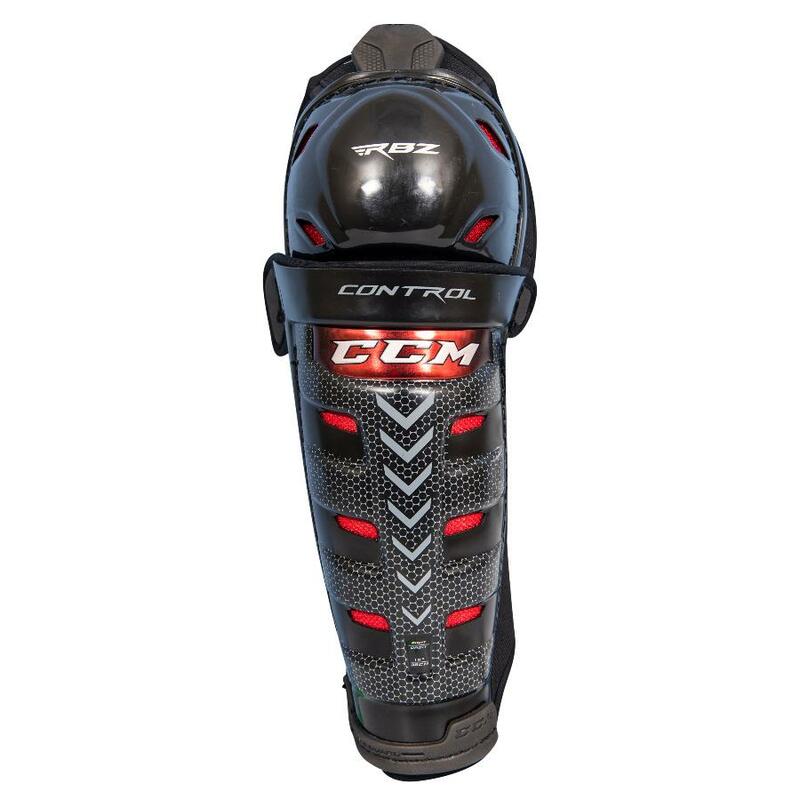 Protect yourself from slashes and shots with the Source Exclusive CCM Vector Plus shin guards. Based on the CCM 3092 shin guards, the Source Exclusive CCM Vector Plus shin guards feature a Lycra upper strap for a more secure fit, as well as the removable liner from the CCM 5092 shin guards to make them easier to dry out, as well as providing a more comfortable fit. The Source Exclusive CCM Vector are sure to provide you the best combination of comfort, fit and protection. Sports Etc Performance To Value Rating– 9 out of 10. Excellent value shin pad. Protective enough for any mid-level player. KNEE CAP Vented puck deflection design. Helps avoid direct impacts, air circulation to keep the player comfortable. SHIN CAP Anatomical shell with ventilation. Maximum strength and support combined with air circulation. LINER Lightweight removable liner with neoprene locks zones. Secures the leg and knee in the proper position, washable. CALF PROTECTION Crazy Light U Foam molded calf wrap. Pro level protection, Prevents water absorption, keeps pads light all game. STRAPPING Cross strapping system with Lycra straps. Customization ensures a secure fit. SYSTEM Crazy Light U Foam segmented construction. Additional coverage without inhibiting mobility.